A lovely bright and spacious room have a timber framed sash window to the front elevation and a further sash window to the rear elevation. 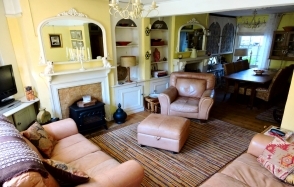 The living area has an open fireplace, ceiling light fittings, picture rail, built in TV cabinet, shelving in the alcoves to either side of the fireplace and power points and the dining area also has a feature fireplace with wood burning stove, the stairs rise to the first floor and has a useful storage cupboard under. 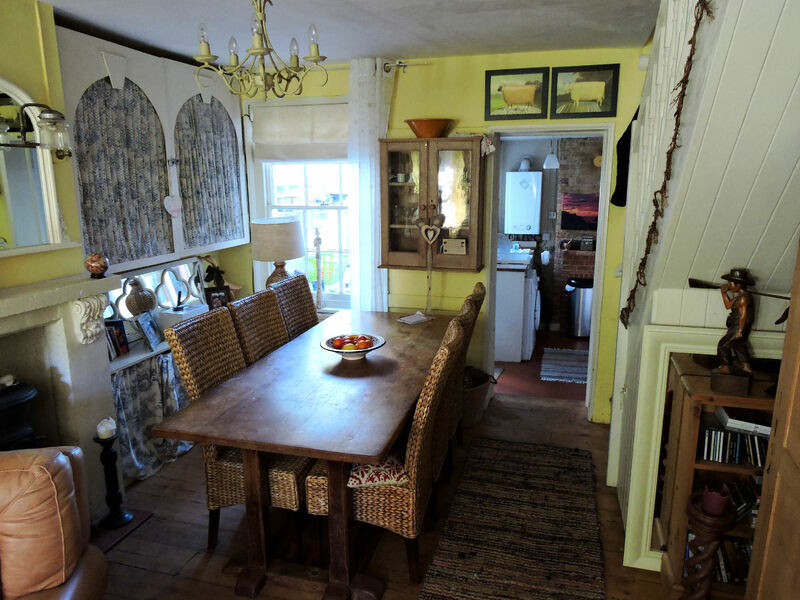 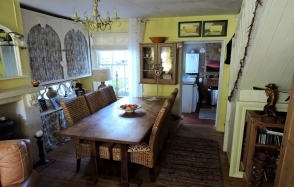 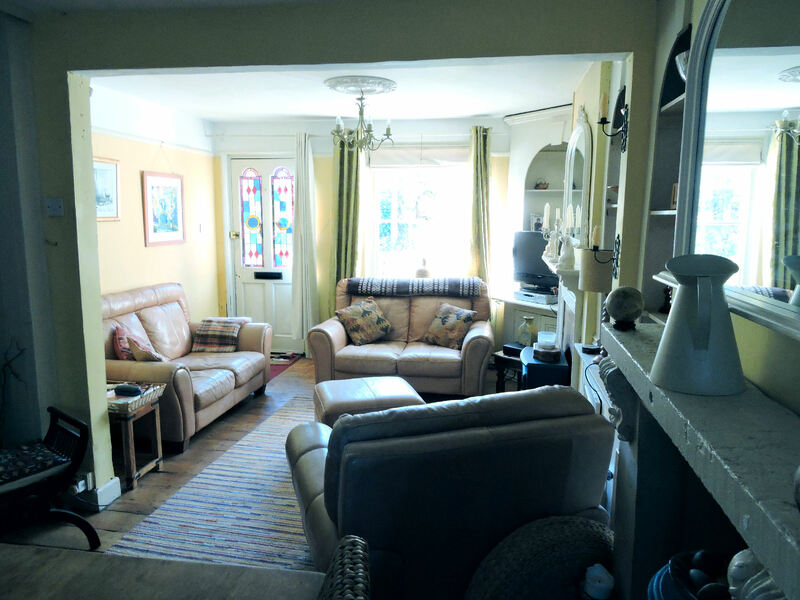 The room has lovely old exposed wooden floor boards, a radiator and an open archway with a step down into the kitchen. 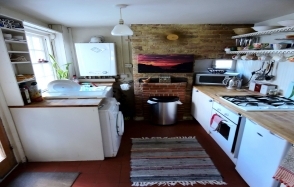 A fully fitted kitchen comprising a wooden worktop incorporating an inset Butler sink with mixer tap and drainer and a 4-ring gas hob with an electric oven, a range of Shaker style cupboards with space for washing machine and fridge, ceiling light fitting, gas boiler, radiator, an original feature fireplace, quarry tiled flooring, timber framed sash window and a timber and glazed door to the side giving access to a handy lean-to building. 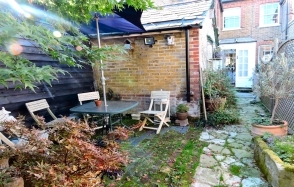 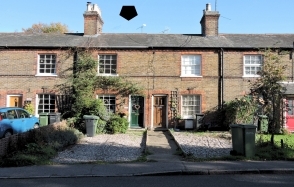 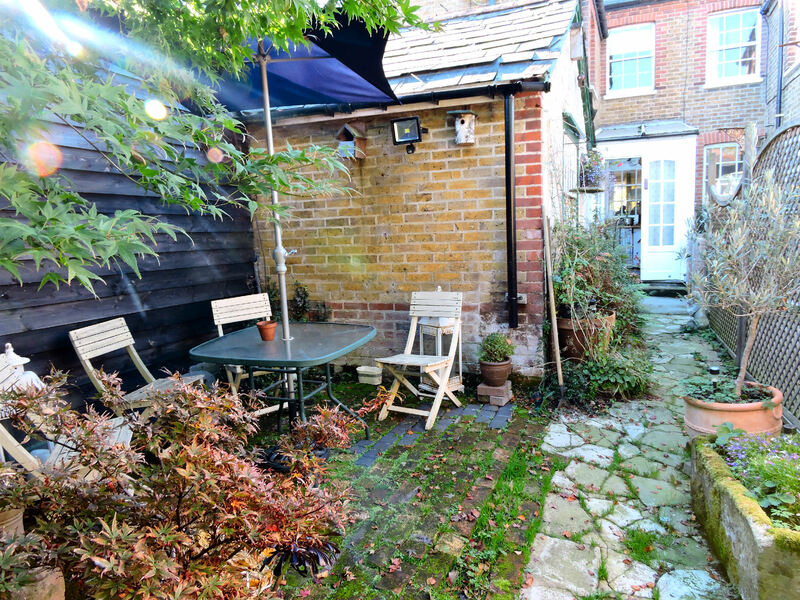 This very useful lean-to addition has French doors leading out to a block paved area where there is a large brick built garden shed and an original outside toilet. The landing area has access to the loft storage space, ceiling light fitting and doors to both bedrooms. 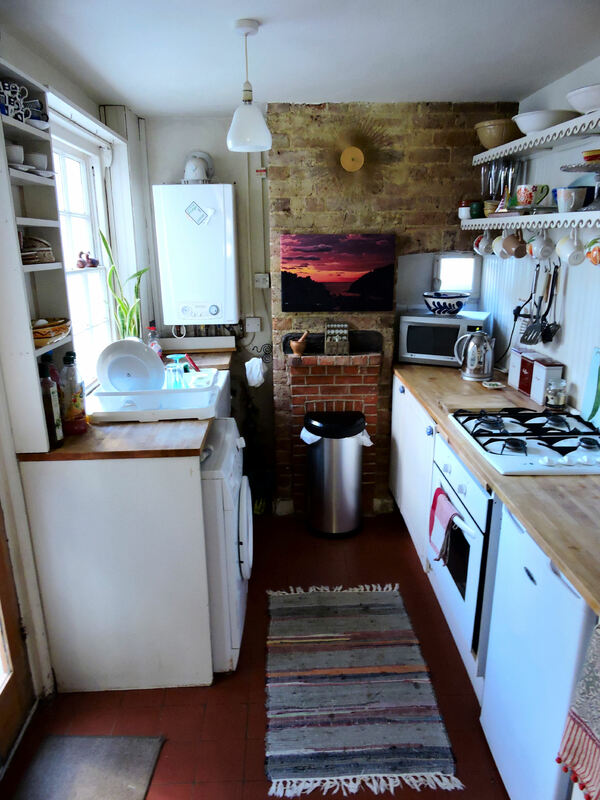 A large bright and spacious double bedroom with timber framed sash window to the front elevation, radiator, ceiling light fitting, power points and exposed floor boards. 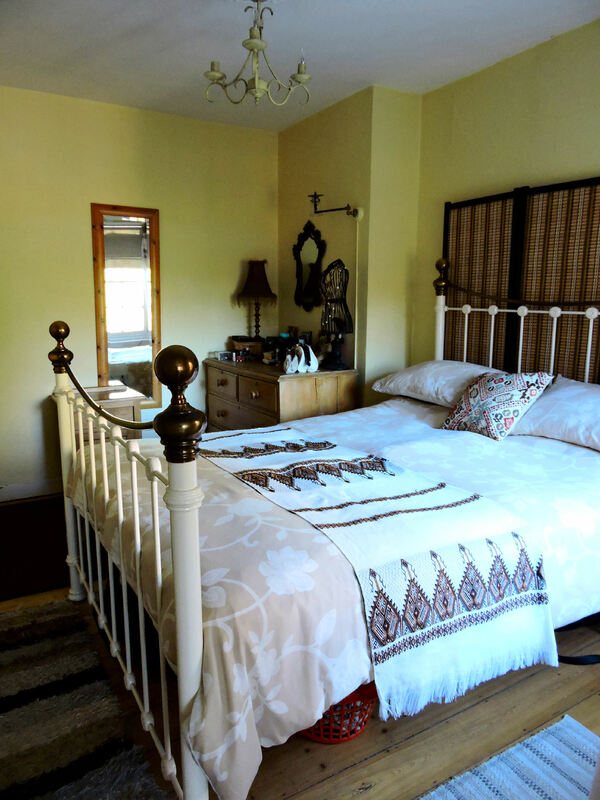 A further double bedroom with timber framed sash window to the rear elevation, ceiling light fitting, radiator, exposed floor boards, built in cupboard and door to the bathroom. A white suite comprising low level WC, wooden panel enclosed bath, vanity unit with inset wash hand basin, corner shower cubicle, part tiled walls, ceiling light fitting, dual aspect timber framed sash windows to the side and rear elevations and a radiator. 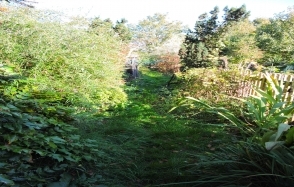 The garden has a block paved seating area immediately to the rear that can be accessed from the “lean to”, secure timber fencing to the side boundaries, an array of plants and shrubs, a small pond with a feature decked bridge, an original feature water pump and a log store. 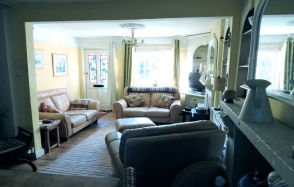 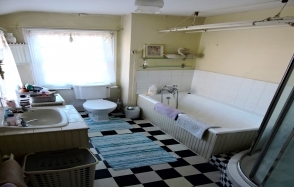 The property is connected to mains water and drainage and benefits from gas central heating.